An interactive installation at the Great North Museum exhibit of the Lindow Man. 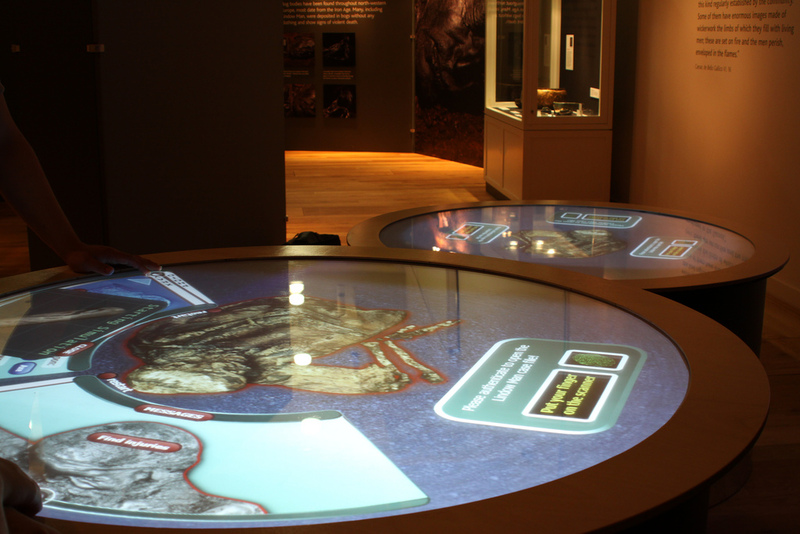 This exhibit consisted of two 1.5m diameter circular multi-touch surfaces running a WPF powered application that allowed visitors of the museum to find out more about the Lindow Man through by performing a CSI style ‘autopsy’ on the digital body. From start to finish the entire build process took 4 weeks. 2x custom built circular FTIR rear projected displays.